Yamaha pilot still coming to grips with increased speed of premier class contender. 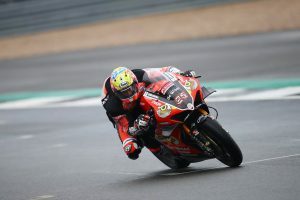 A personal best lap-time of 1m33.211s at Phillip Island has offered Cru Hallidy a boost of motivation in his return to the premier class in 2019. 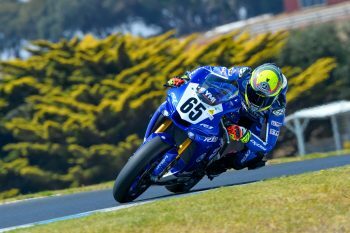 The Island’s official Australian Superbike Championship (ASBK) test at the weekend presented Halliday with just his second opportunity to ride the larger Yamaha Racing Team YZF-R1M since capturing the Supersport crown last year, having previously completed a one-day test at Morgan Park in January. The New South Welshman displayed promising progress throughout each and every session, recording his fastest lap in the final outing of the weekend to position himself eighth in the times – less than one second off pace-setter Wayne Maxwell (Team Suzuki Ecstar). “It was pretty good and I wasn’t really sure what to expect down there,” Halliday explained to CycleOnline.com.au. “I rode the bike once at Morgan Park before the official test, but that was mainly tyre testing rather than set-up. Phillip Island is a track I’ve struggled with in the past on a 1000cc, but I came to terms with it on the 600cc. “So I had confidence coming into the test – I did a PB down there by two tenths, so I’m happy with it. Day one down there was trying to get adjusted to the speed and riding style of the bike – I think I still struggled with that going into day two, and halfway through I got to grips with it. 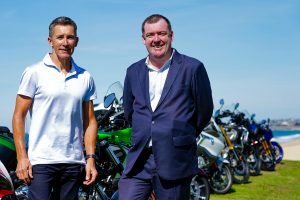 The opening round of the ASBK is scheduled for 21-24 February at Phillip Island, which will run in conjunction with round one of the FIM Motul Superbike World Championship (WorldSBK).